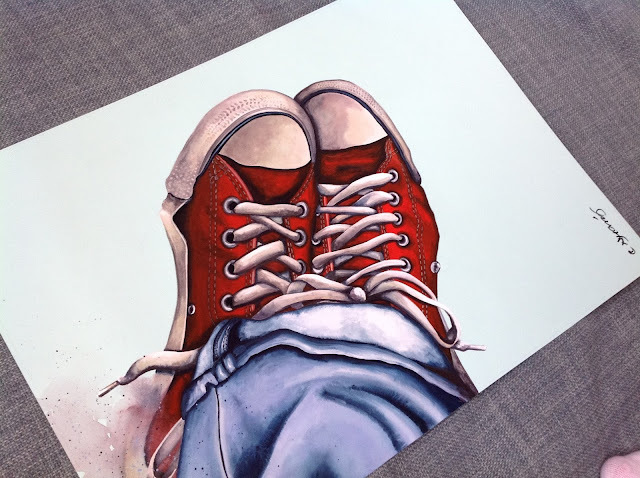 A contemporary Red Converse All Stars Chuck Taylor trainers/Shoes painting. Very striking composition, and full on American Culture...loathed to let this one go, LOVE it! 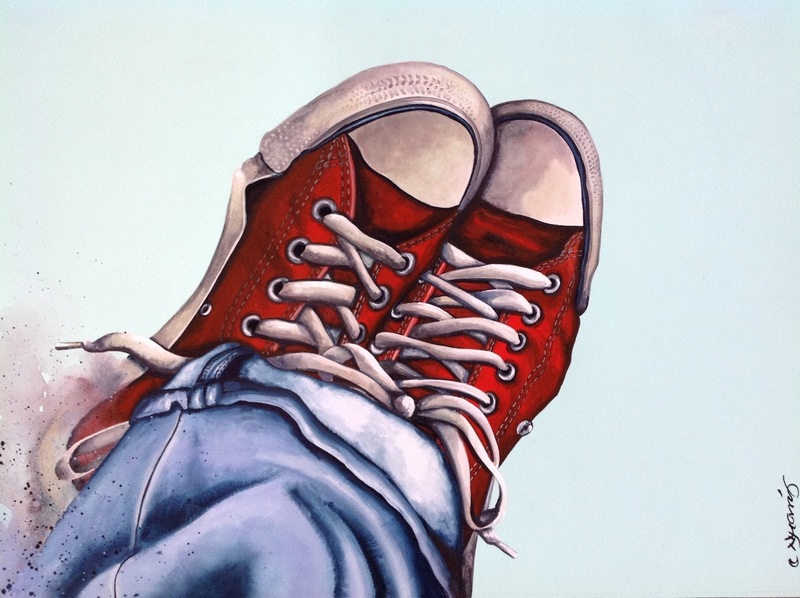 A looser style, impressionistic painting with a contemporary fresh feel, beautiful colours, energy and light....can be found here, if available for auction along with other artworks.